Shelley Cable is pretty well-accustomed to receiving honours and awards, but when she received an email from Curtin University letting her know she had won the 2017 Young Alumni Achievement Award she was more than surprised – she didn’t even know she had been nominated. We spoke with Shelley following her amazing achievement, to find out that a staff member from the Careers, Employment & Leadership team at Curtin had nominated her secretly for the award. She was recognised as being a Curtin graduate under the age of 30, who had demonstrated excellence in her field of endeavour, and made a significant contribution to the community through volunteer service. Known by many as an inspiring Wilman-Nyoongar woman and high-achieving Curtin Alumni, at 22 years old she’s only getting started. Shelley tells us she’s led by her passion to “unleash the potential of Indigenous Australia through economic freedom, entrepreneurship and financial literacy”. Since graduating from Curtin in 2015: she’s gone on to be voted Miss NAIDOC for Perth in 2016, she’s presented to the United Nations’ Expert Mechanism on the Rights of Indigenous Peoples this year on financial literacy and the global Indigenous business sector, and she was also a finalist in the 2017 Western Australian of The Year Awards. Though, Shelley tells us, she’s not just in it for the awards. Shelley champions if it wasn’t for her involvement with extra-curricular Curtin programs such as John Curtin Leadership Academy (JCLA) and Curtin Volunteers (CV! ), she wouldn’t be this far ahead. She says if it hadn’t been for Curtin Volunteers, she wouldn’t have offered her service to AIME (Australian Indigenous Mentoring Experience) in her last semester of Uni. This was effectively where she began to realise the value of her Indigenous experience and knowledge, and from there it’s grown into something much bigger. 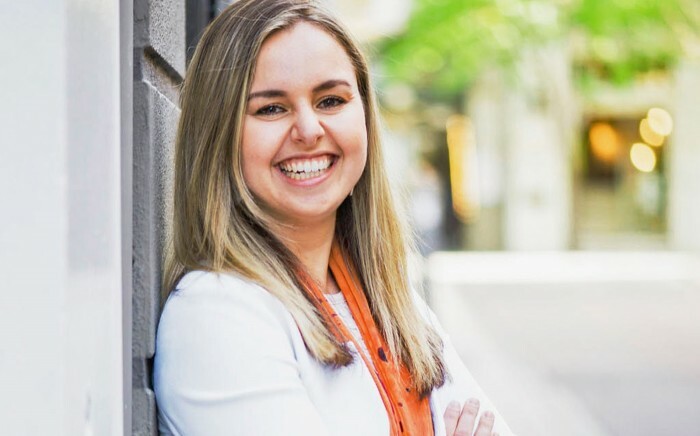 And if moving to start life in Canberra to work as a Consultant for PwC’s Indigenous Consulting wasn’t a bold enough move, Shelley also chatted to us about her endeavours to set up a mentoring program for Indigenous business school students at TAFE and local universities in her free time. Shelley recommends, for those ready to dive into career opportunities, to be mindful of external sources trying to determine your future, your success and your happiness. Ensure the expectations you’re trying to meet are your own, not those set by someone else. In need of career advice or support? The Careers, Employment & Leadership team is heading off to enjoy the festive season from Thursday 14 December, but will be back and ready to kick-start the New Year on Monday 8 January 2018. See you then.